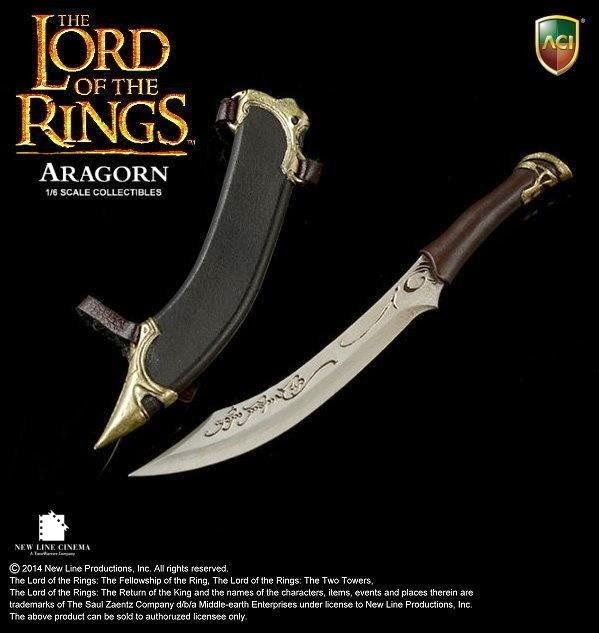 toyhaven: ACI Toys AM002 The Lord of the Rings 1/6 scale Aragorn (Exclusive) 12" figure is too expensive! ACI Toys AM002 The Lord of the Rings 1/6 scale Aragorn (Exclusive) 12" figure is too expensive! In the "The Lord of the Rings" epic fantasy film series directed by Peter Jackson based on the first volume of J. R. R. Tolkien's The Lord of the Rings (1954–1955), Viggo Mortensen played the role of Aragorn. 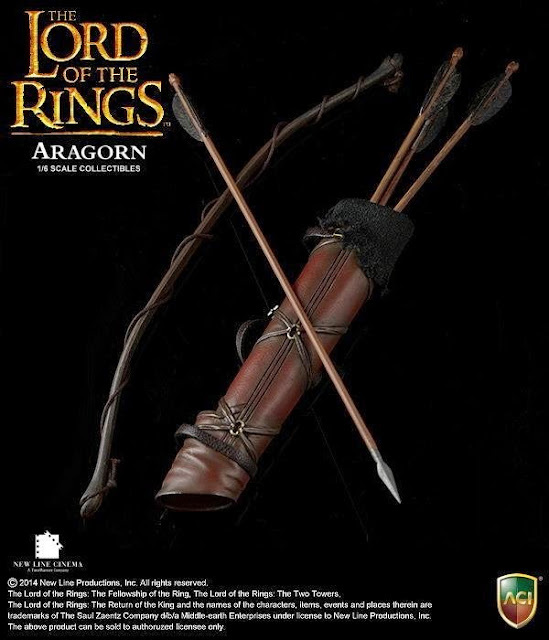 Dubbed Strider, Aragorn is a Dúnedain ranger and the heir to Gondor's throne. Daniel Day-Lewis was offered the part, Nicolas Cage also received an offer, but Stuart Townsend was cast in the role, before being replaced during filming when Jackson realized he was too young. Mortensen's son, a fan of the book, convinced him to take the role. 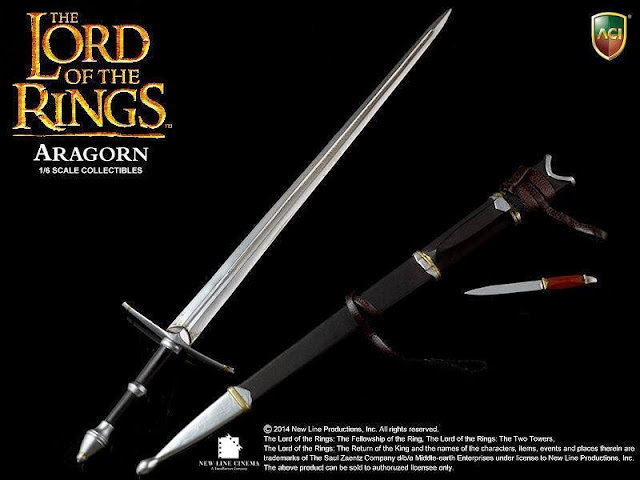 Mortensen read the book on the plane, received a crash course lesson in fencing from Bob Anderson and began filming the scenes on Weathertop. 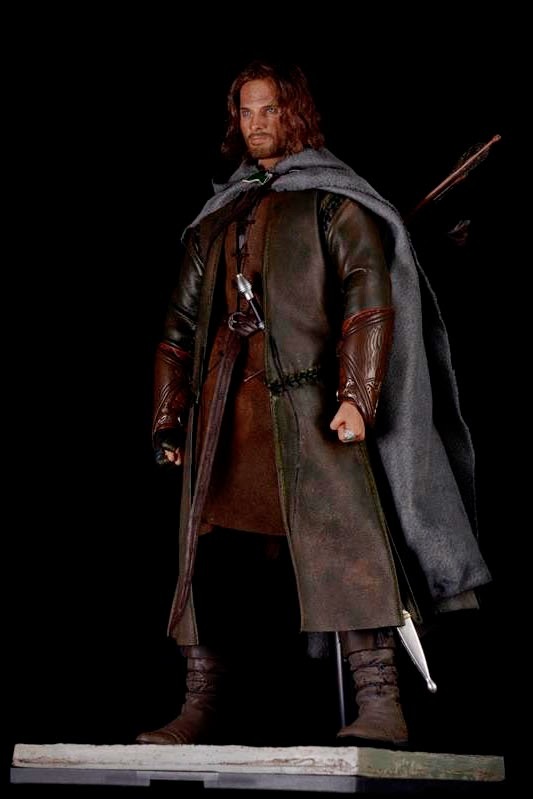 Mortensen became a hit with the crew by patching up his costume and carrying his "hero" sword around with him offscreen. 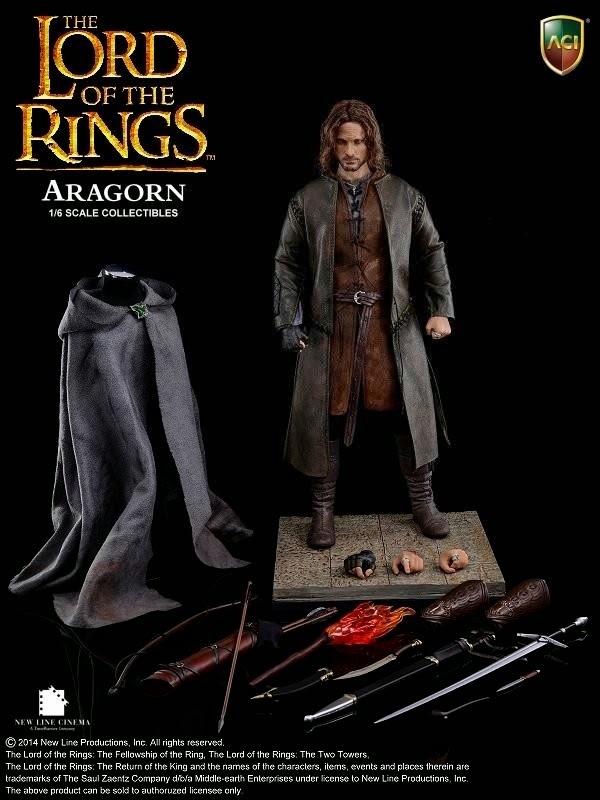 ACI Toys AM002 The Lord of the Rings 1/6 scale Aragorn (Exclusive) 12-inch figure Features Highly Detailed and Sculpted Head with synthetic hair wig and the authentic likeness of Aragorn as played by Viggo Mortensen. Painted Medium Built Body - Christian, New improved version with over 30 points of articulation. 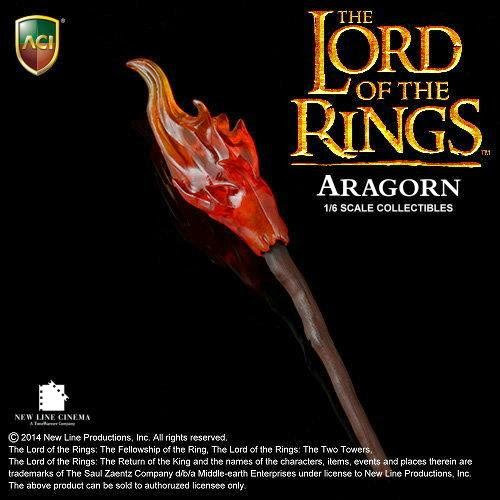 Other 1/6 scale accessories: Arwen Evenstar Pendant necklace, smoke pipe, Fire Torch. Three pairs of interchangeable hands (3 left hands with ring and 3 half gloved right hand). Elegant design display stand with diorama base. YUp. That's how I feel too. I remember the good old days when even a Hot Toys figure was under $100... having said that, Aragorn looks fantastic.